James Ramsay, the only son of William Ramsay (1683–1754), ship's carpenter, and his wife, Margaret Ogilvie (1696–1772), was born on 25th July 1733 at Fraserburgh, Aberdeenshire. After attending Fraserburgh Grammar School he was apprenticed to a local surgeon. 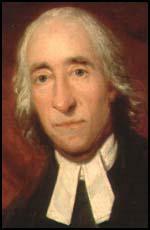 Later he studied at King's College, Aberdeen, where he was deeply influenced by the teachings of Dr Thomas Reid (1710–1796), a professor of moral philosophy. He obtained his degree in 1753. After further training as a doctor he joined the Royal Navy. In June 1757 he joined The Arundel and came under the command of Captain Charles Middleton. Ramsay's vessel intercepted the British slave ship Swift on 27th November 1759. According to his biographer, James Watt: "On boarding her, Ramsay found over 100 slaves wallowing in blood and excreta, a scene of human degradation which remained for ever in his memory and so distracted his attention that, on returning to his ship, he fell and fractured his thigh bone. It was the more serious of two such accidents and he remained lame for life. With an end to his naval service in prospect, Ramsay sought ordination in the Anglican church to enable him to work among slaves." In July 1761, Ramsay left the navy and in November he was ordained by the Bishop of London. Soon afterwards he travelled to St Kitts. In 1763 he married Rebecca Akers, the daughter of a plantation owner on the island. Over the next few years they had four children. Ramsay was appointed surgeon to several sugar plantations and was shocked by the way the slaves were treated by the overseers. Ramsay later recalled: "At four o'clock in the morning the plantation bell rings to call the slaves into the field.... About nine o'clock they have half an hour for breakfast, which they take into the field. Again they fall to work... until eleven o'clock or noon; the bell rings and the slaves are dispersed in the neighbourhood to pick up natural grass and weeds for the horses and cattle (and to prepare and eat their own lunch)... At two o'clock, the bell summons them to deliver in their grass and to work in the fields... About half an hour before sunset they are again required to collect grass - about seven o'clock in the evening or later according to season - deliver grass as before. The slaves are then dismissed to return to their huts, picking up brushwood or dry cow dung to prepare supper and tomorrow's breakfast. They go to sleep at about midnight." Richard Reddie, the author of Abolition! The Struggle to Abolish Slavery in the British Colonies (2007) has pointed out: "Ramsay's evangelical brand of Christianity brought him immediately into conflict with West Indian planters who were appalled that he insisted on racially integrating his religious services. He also carried out missionary activities among enslaved Africans, which brought him into further conflict with the white West Indian authorities." The planters were always suspicious of any social action amongst Africans and they quickly turned against Ramsay, accusing him of everything from seditious preaching to serial philandering." Ramsay was particularly concerned about slave punishments: "The ordinary punishments of slaves, for the common crimes of neglect, absence from work, eating the sugar cane, theft, are cart whipping, beating with a stick, sometimes to the breaking of bones, the chain, an iron crook about the neck... a ring about the ankle, and confinement in the dungeon. There have been instances of slitting of ears, breaking of limbs, so as to make amputation necessary, beating out of eyes, and castration... 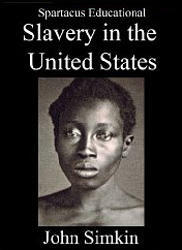 In short, in the place of decency, sympathy, morality,and religion; slavery produces cruelty and oppression. It is true, that the unfeeling application of the ordinary punishments ruins the constitution, and shortens the life of many a poor wretch." On his return to Britain in 1777 he became friends with Admiral Charles Middleton at Barham Court, Teston, Kent. His stories about life on a slave plantation helped Middleton and his wife to be opponents of the slave trade. In April 1778 he rejoined the navy as chaplain to Admiral Samuel Barrington on the West Indies Station. During this period he wrote Sea Sermons for the Royal Navy (1781). In January 1782, Ramsay was appointed as vicar of Teston and rector of Nettlestead. He also acted as Middleton's confidential secretary. Ramsay's Essay on the Treatment and Conversion of African Slaves in the British Sugar Colonies appeared in 1784. This book inspired a generation of anti-slavery campaigners. Thomas Clarkson argued that as a result of Ramsay book the "first controversy ever entered into on the subject, during which, as is the case in most controversies, the cause of truth was spread." Adam Hochschild, the author of Bury the Chains: The British Struggle to Abolish Slavery (2005), argued: "Almost everything else written against slavery was... a mixture of biblical citations, philosophical argument, and second-hand accounts. Ramsay, by contrast, offered a searing eyewitness picture. He vividly described beatings he had seen; he told of weary slaves carrying cane to the mill by moonlight, and how new mothers had to bring their babies to the fields, leaving them in furrows exposed to the sun and rain." Ramsay was attacked in the press and one plantation owner from St Kitts, Crisp Molyneux, Ramsay's character and professional reputation. As Richard Reddie pointed out: "The planters were always suspicious of any social action amongst Africans and they quickly turned against Ramsay, accusing him of everything from seditious preaching to serial philandering." Although Olaudah Equiano, an emancipated slave, confirmed all that Ramsay had written, he never recovered from this attack. 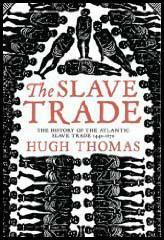 In 1787 Thomas Clarkson, William Dillwyn and Granville Sharp formed the Society for the Abolition of the Slave Trade. Although Sharp and Clarkson were both Anglicans, nine out of the twelve members on the committee, were Quakers. This included John Barton (1755-1789); George Harrison (1747-1827); Samuel Hoare Jr. (1751-1825); Joseph Hooper (1732-1789); John Lloyd (1750-1811); Joseph Woods (1738-1812); James Phillips (1745-1799) and Richard Phillips (1756-1836). Influential figures such as Ramsay, William Allen, John Wesley, Josiah Wedgwood, John Cartwright, Charles Middleton and William Smith gave their support to the campaign. Clarkson was appointed secretary, Sharp as chairman and Hoare as treasurer. At their second meeting Hoare reported subscriptions of £136. On 12th May 1789 William Wilberforce made his first speech on the subject. Wilberforce's biographer, John Wolffe, has pointed out: "Following the publication of the privy council report on 25 April 1789, Wilberforce marked his own delayed formal entry into the parliamentary campaign on 12 May with a closely reasoned speech of three and a half hours, using its evidence to describe the effects of the trade on Africa and the appalling conditions of the middle passage. He argued that abolition would lead to an improvement in the conditions of slaves already in the West Indies, and sought to answer the economic arguments of his opponents. For him, however, the fundamental issue was one of morality and justice. The Society for the Abolition of the Slave Trade was very pleased with the speech and sent its thanks for his "unparalleled assiduity and perseverance". James Ramsay was now extremely ill. He wrote to his friend Thomas Clarkson on 10th July 1789: "Whether the bill goes through the House or not, the discussion attending it will have a most beneficial effect. The whole of this business I think now to be in such a train as to enable me to bid farewell to the present scene with the satisfaction of not having lived in vain." Ten days later Ramsay died from a gastric haemorrhage. James Watt has argued: "His enemies acknowledged his exemplary qualities, while deploring the intemperate language of his books; and the abolition of the British slave trade in 1807 probably owed more to James Ramsay's personal integrity, ethical arguments, and constructive proposals than to any other influence." At four o'clock in the morning the plantation bell rings to call the slaves into the field.... About nine o'clock they have half an hour for breakfast, which they take into the field. Again they fall to work... until eleven o'clock or noon; the bell rings and the slaves are dispersed in the neighbourhood to pick up natural grass and weeds for the horses and cattle (and to prepare and eat their own lunch)... At two o'clock, the bell summons them to deliver in their grass and to work in the fields... About half an hour before sunset they are again required to collect grass - about seven o'clock in the evening or later according to season - deliver grass as before. The slaves are then dismissed to return to their huts, picking up brushwood or dry cow dung to prepare supper and tomorrow's breakfast. They go to sleep at about midnight. The ordinary punishments of slaves, for the common crimes of neglect, absence from work, eating the sugar cane, theft, are cart whipping, beating with a stick, sometimes to the breaking of bones, the chain, an iron crook about the neck... a ring about the ankle, and confinement in the dungeon. There have been instances of slitting of ears, breaking of limbs, so as to make amputation necessary, beating out of eyes, and castration... In short, in the place of decency, sympathy, morality,and religion; slavery produces cruelty and oppression. It is true, that the unfeeling application of the ordinary punishments ruins the constitution, and shortens the life of many a poor wretch. Whether the bill goes through the House or not, the discussion attending it will have a most beneficial effect. The whole of this business I think now to be in such a train as to enable me to bid farewell to the present scene with the satisfaction of not having lived in vain.